Grandchamp Roofing is your top rated commercial roofing company in the College Station and Bryan TX area. Our experience and expertise doesn’t stop with residential roofing. 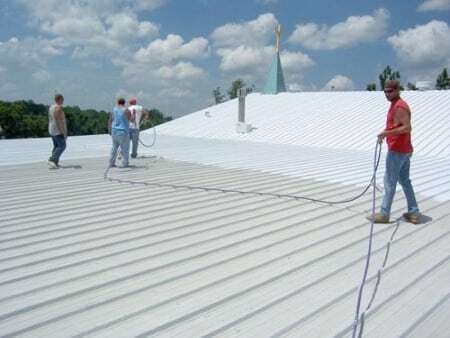 Grandchamp is well equipped to tackle commercial roofing jobs of all sizes. Just like with our residential services, superior quality work and an eye for detail are our main goals and company policy. Being in business ourselves, we know the kinds of obstacles that businesses face when dealing with a roof replacement, roof repair, or new roof installation.Since you are reading this, it’s likely that you are already know or are dealing with the negative effects a roofing problem can have on a business. At best, it’s an inconvenience to customers and employees. At worst, it can bring your business to a screeching stop. 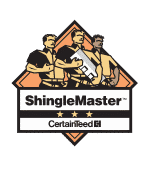 Here at Grandchamp roofing, our professionals will have your commercial roof back in champion shape in less time than you would have thought possible. We are masters in the art of commercial roofing and will work with business and building owners and managers to complete your roof work as smoothly and quickly as possible. From repairs to new installations, Grandchamp Roofing has your commercial roofing needs covered. We want to help you get back to business as usual, and we’ll do it in a way that will save you time and money without neglecting quality. Give us a call today for a no obligation quote. The jobs not done and we aren’t happy until you are one completely satisfied. We stake our company reputation on our customer feedback and invite you to examine our past jobs and projects. We are raising the bar on what real customer service looks like.